March 19 – Jamacian music honcho Chris Blackwell. 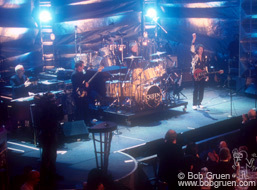 Keith Richards inducted pianist Johnnie Johnson. 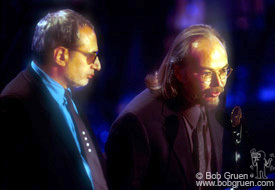 Moby inducted the band Steely Dan. Michael Jackson accepts his award. 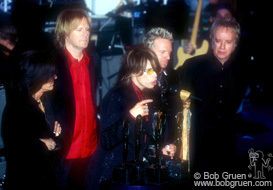 Aerosmith gives a speech after receiving their awards. 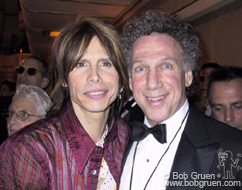 Steven Tyler and photog Bob Gruen. Joe Perry and his wife Billie Paulette Montgomery. Sisters – Liv, Chelsea & Mia Tyler. 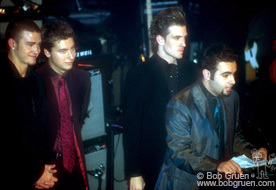 The Flamingos perform during the ceremony. Nancy Sinatra with Phil Spector. 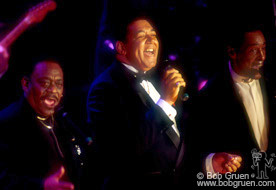 Ricky Martin pays tribute to the great Ritchie Valens who was inducted that night. 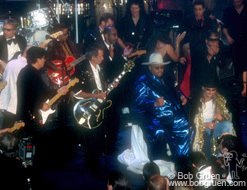 Robbie Robertson, Keith Richards, King Solomon Burke and Kid Rock with members of Queen and Aerosmith, join in the after dinner jam. 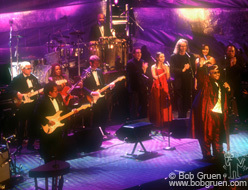 During the ceremony, King Solomon Burke performed.